M. Auezov was awarded the Lenin Prize for the dilogy "The Path of Abai"
Home Publications A solemn meeting devoted to the Independence Day of the Republic of Kazakhstan was held on December 14, 2013 with the participation of the President Nursultan Nazarbayev. A solemn meeting devoted to the Independence Day of the Republic of Kazakhstan was held on December 14, 2013 with the participation of the President Nursultan Nazarbayev. Addressing the participants of the meeting, Nursultan Nazarbayev noted that the new star of the Republic of Kazakhstan was lighted up in the constellation of nations of the world. On this day, we started our Kazakhstani path. . We have implemented a great mission; we became pioneers of the Independence. Time goes by. Today, the things that were achieved right after the birth of the Independent Kazakhstan are already receding into the eternal history. We evaluated this time in comparison with the current achievements. Twenty-two years ago we could only dream that we can raise our economy. And today, Kazakhstan is among the competitive countries in the world – said the President of Kazakhstan. The Head of State noted that the number "seven" has always been special for our people. The Strategy "Kazakhstan-2050" is a new course of our country in the new century and it is based on seven priorities. As a gift of Independence, our nation gained seven priceless possessions. The first asset is our sacred and worthy country, Mәңgіlіk El. More than fourteen thousand kilometers of undisputed borders soldered our homeland into a monolith. They became the boundaries of good neighborliness with all neighboring countries, - said Nursultan Nazarbayev. The President of Kazakhstan described the unity of people as a second heritage of the country. We were able to turn our country into a cradle of the world. Through the tranquility we achieved stability in our country, and through consent we achieved cohesion. The unity and consent are our greatest, priceless assets. If tranquility is our foundation, the support is our stability, and the desire is our consent, then our country will take its rightful place in history. Independence rallied the people under a single shanyrak of the Assembly, the guardian of the peace and harmony. Our spiritual unity is the main foundation of the secular state and society, - he said. 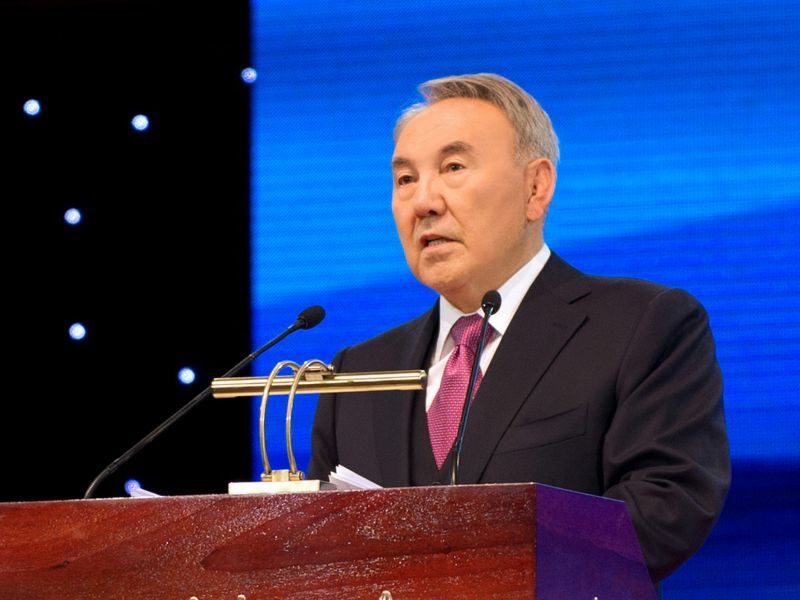 Nursultan Nazarbayev emphasized that the third heritage is our culture and language. Today, in addition to neighboring countries, the Kazakh language is taught at the leading schools of Armenia, Azerbaijan, Belarus, Poland, Hungary, South Korea, Germany, UK, and USA. Every year the number of countries increases. The famous University of Cambridge has a special class dedicated to the Kazakh language, history and culture. Thanks to our national Independence, our culture evolves with a new vigor. We have implemented the program "Cultural heritage", we have recovered what was lost and what was missed. Our art and rich cultural heritage have become a part of the global spiritual wealth - said the President of Kazakhstan. The Head of the State emphasized that the fourth heritage is our industrial and innovative economy. Today, the wealth of our land belongs and serves our people. According to international experts, this year Kazakhstan stood at the 19th place in the world rankings for managing the mineral resources. We have learned the lessons of global crises. In the twenty-first century, the way of all successful nations defines by the industrial power and innovation, - said Nursultan Nazarbayev. The Kazakh President noted that the fifth heritage is our Universal Labor Society, which is a fundamental principle of national wealth. Everything that we have here in Kazakhstan was achieved with a painstaking work. The work makes every man a noble person, - he said. The history of our independence reflects in its new quarters, parks and masterpieces of architecture. Therefore, the love for Astana is a filial feeling for the motherland. This is the alpha and omega of the New Patriotism of Kazakhstan – said the Kazakh President. The President underlined the fact that the seventh heritage of Independence is a global responsibility and common principles of mankind.